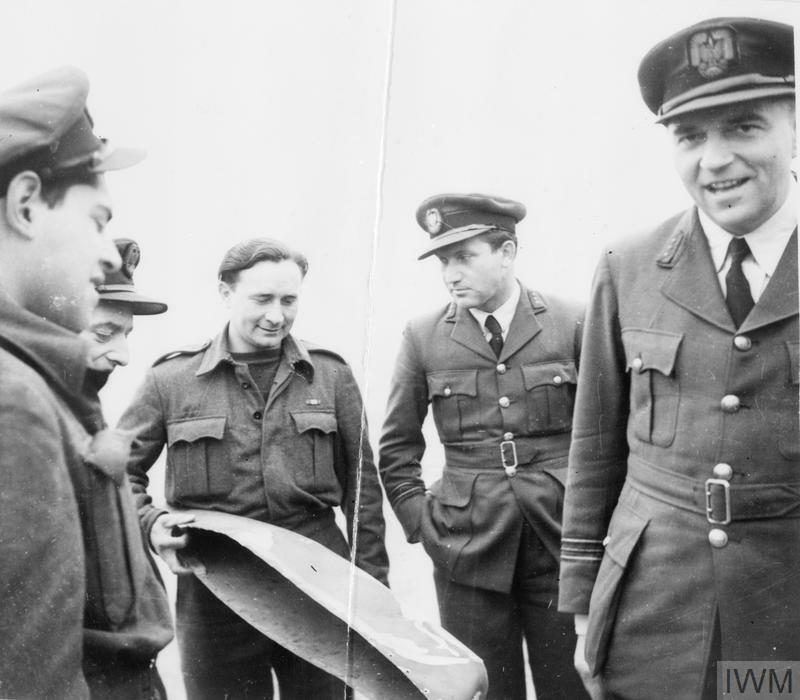 Captain Francis Gabreski amongst Polish pilots at RAF Northolt, 26 February 1943. 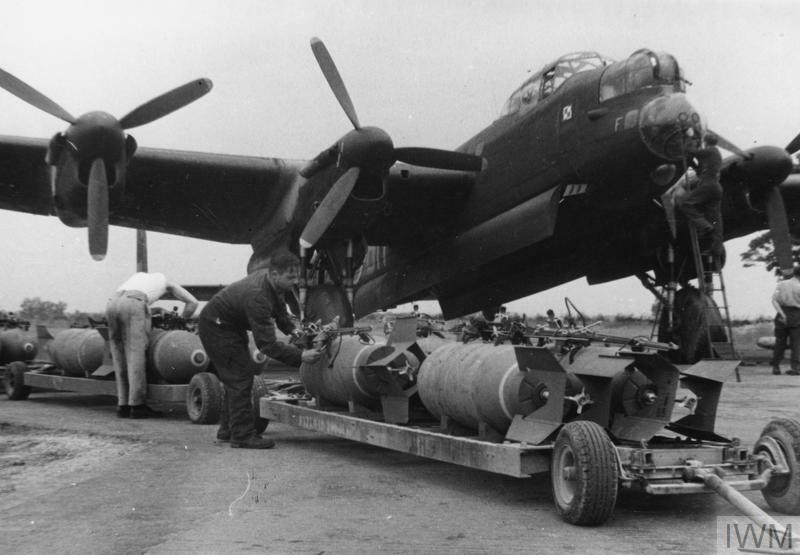 Photograph taken while Gabreski was seconded to the Royal Air Force to gain experience with No. 315 Polish Fighter Squadron. 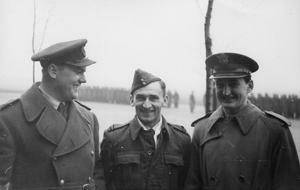 Left to right - Squadron Leader Henryk Szczęsny, the Deputy Commander of No. 131 (Polish) Wing; Flight Lieutenant Tadeusz Koc of No. 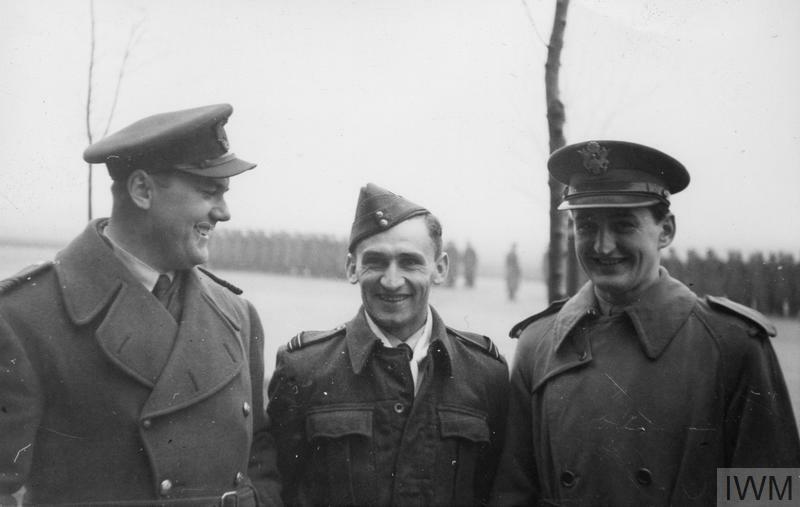 308 Polish Fighter Squadron; and Captain Francis Gabreski.